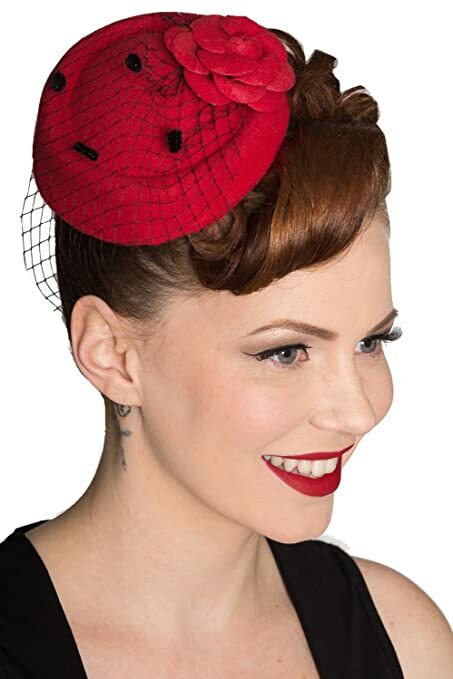 Calling all 1950s pin ups, rockabilly and vintage stylin’ gals. 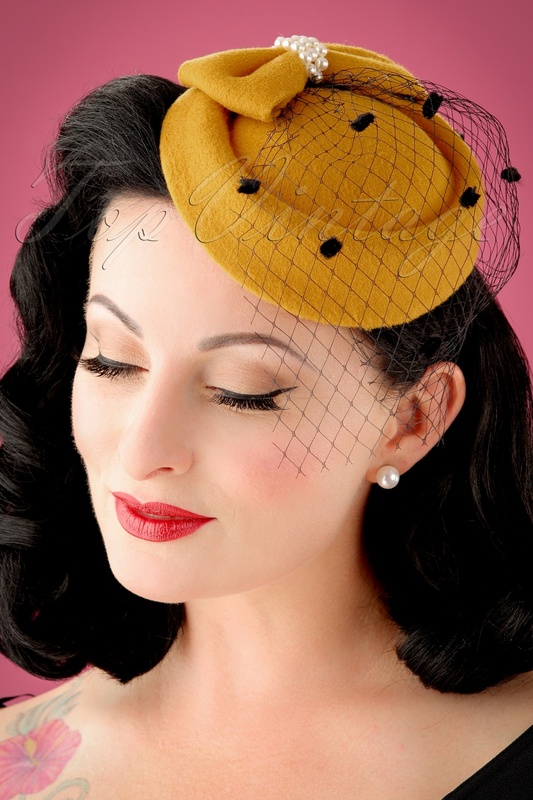 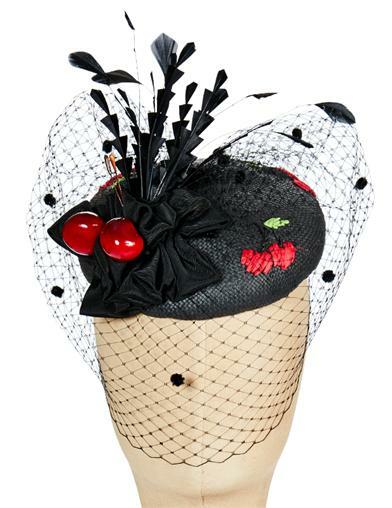 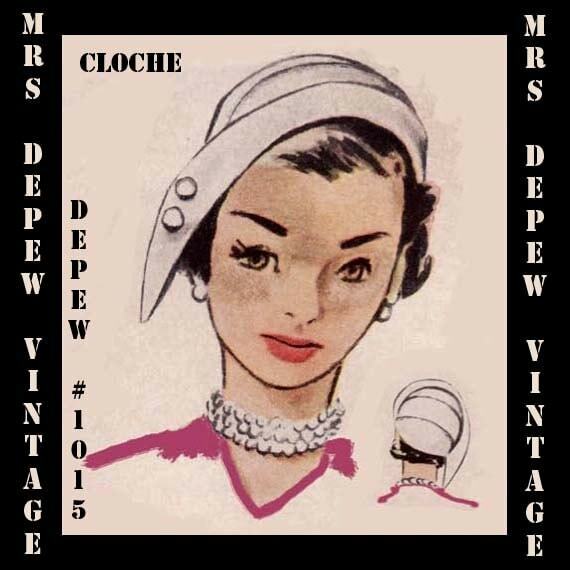 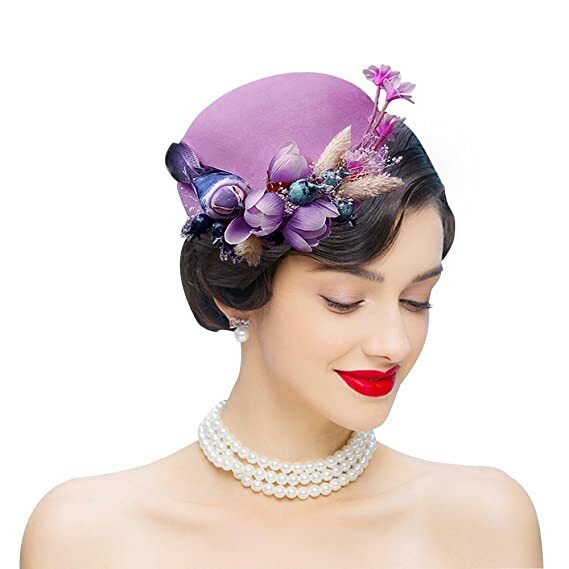 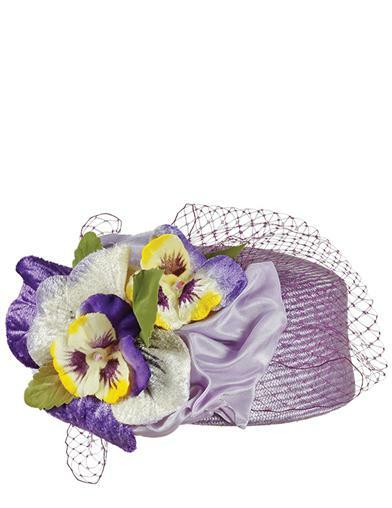 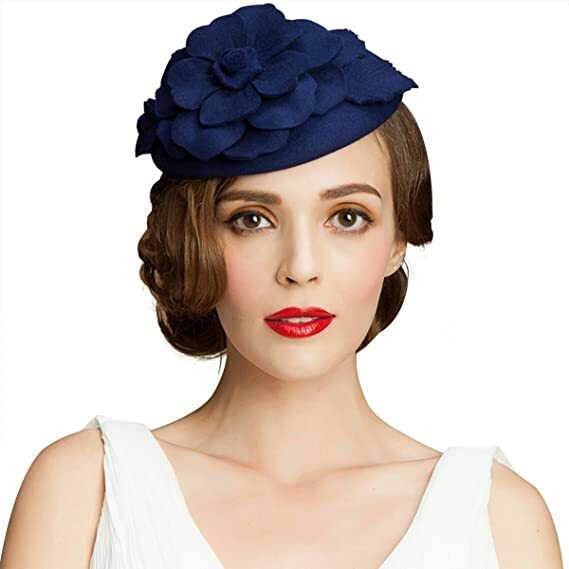 You need a 50s hat for your vintage hairstyle such as the classic fascinator hat in any color of the rainbow. 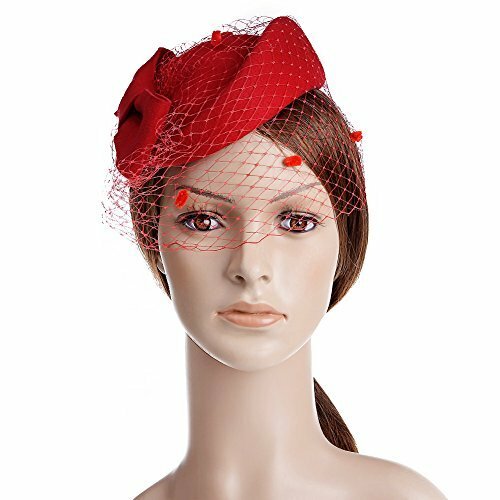 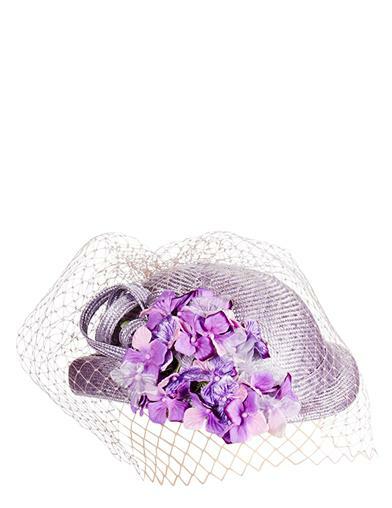 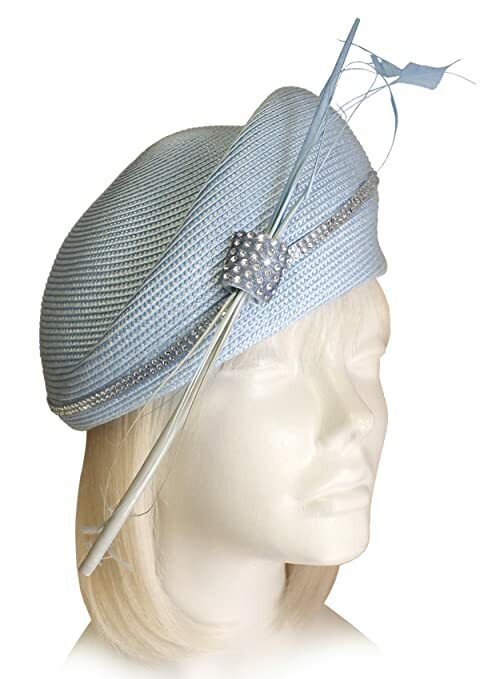 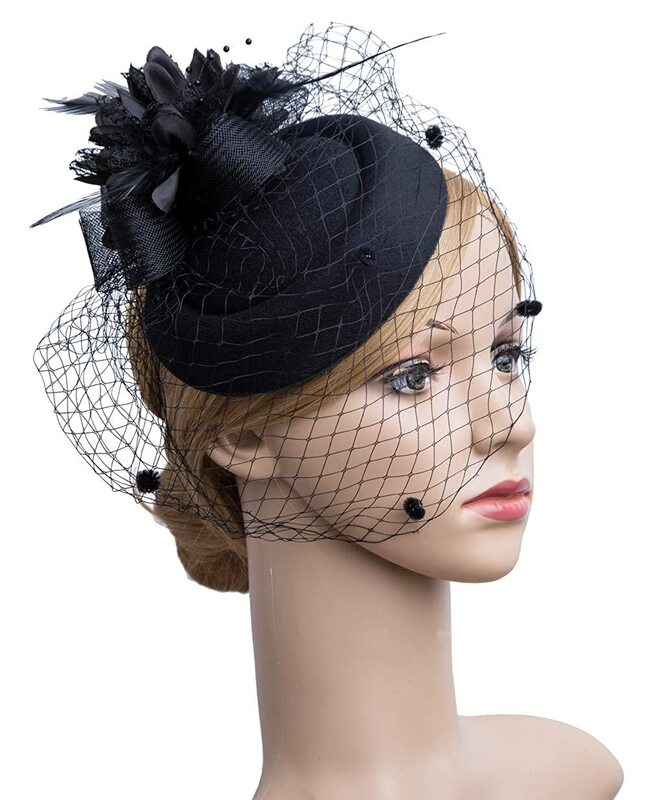 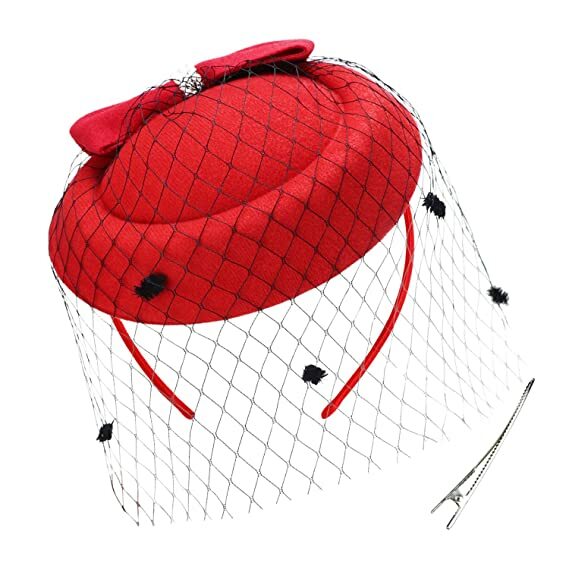 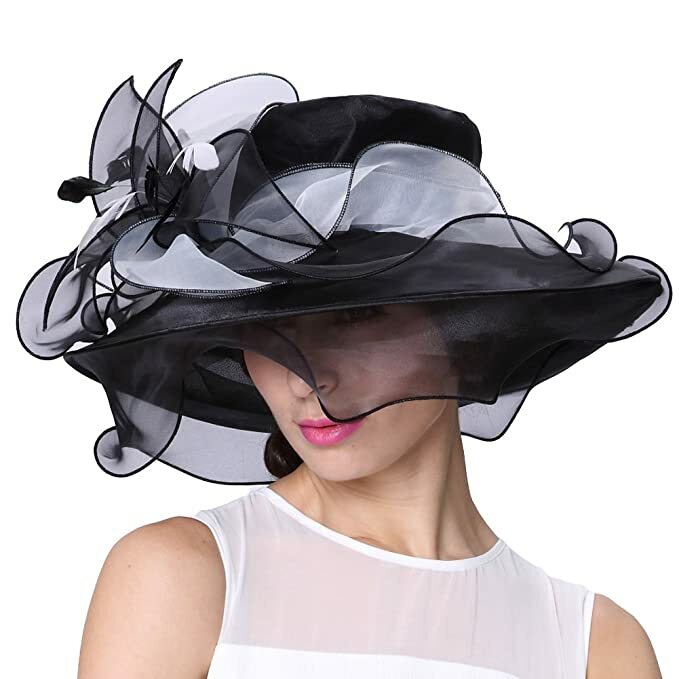 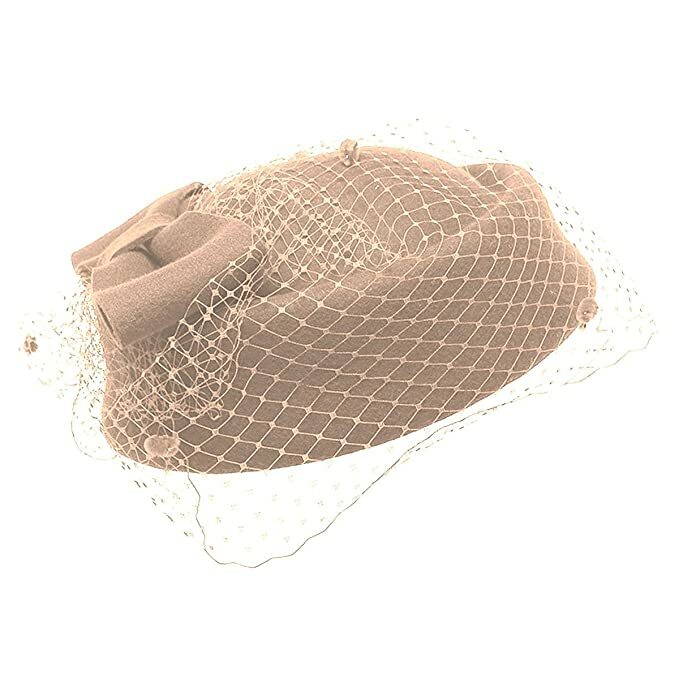 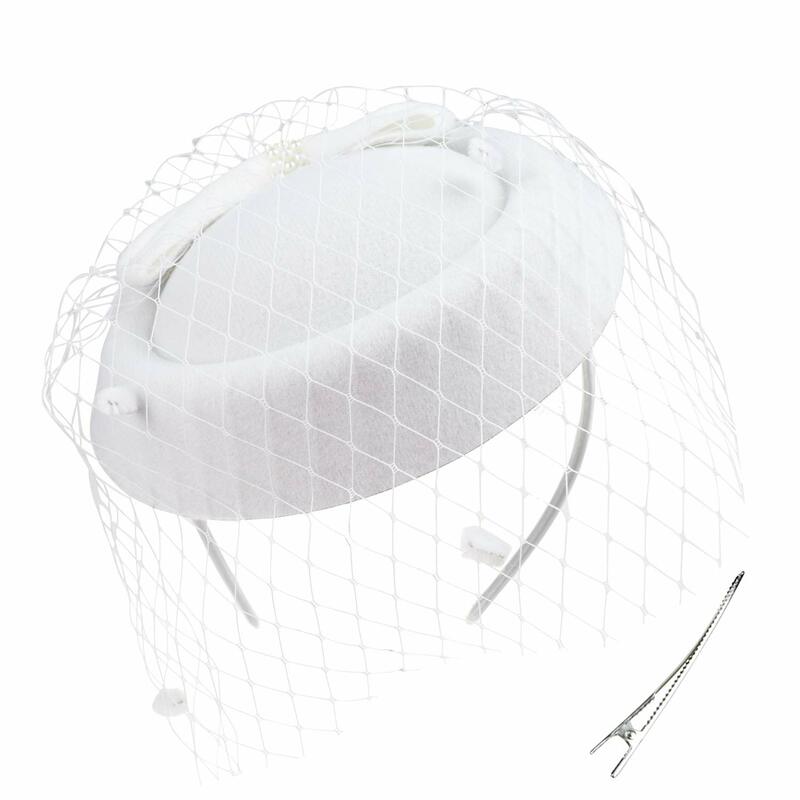 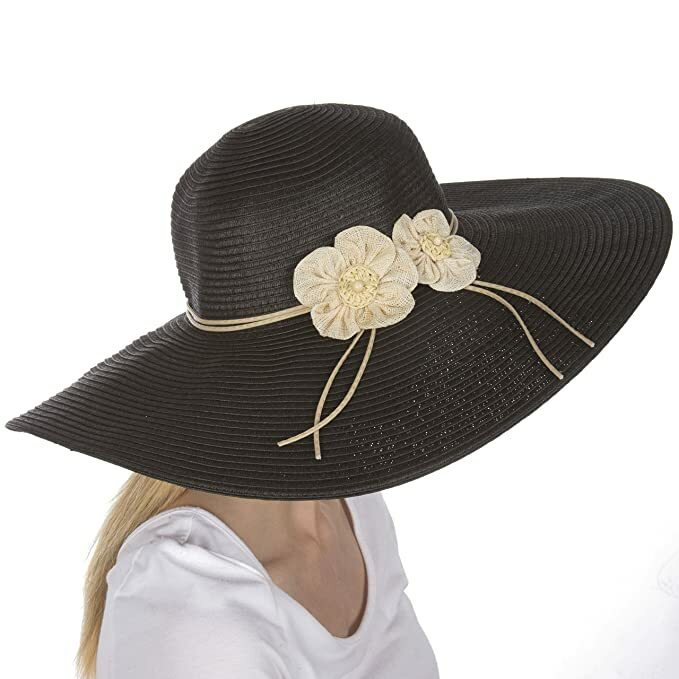 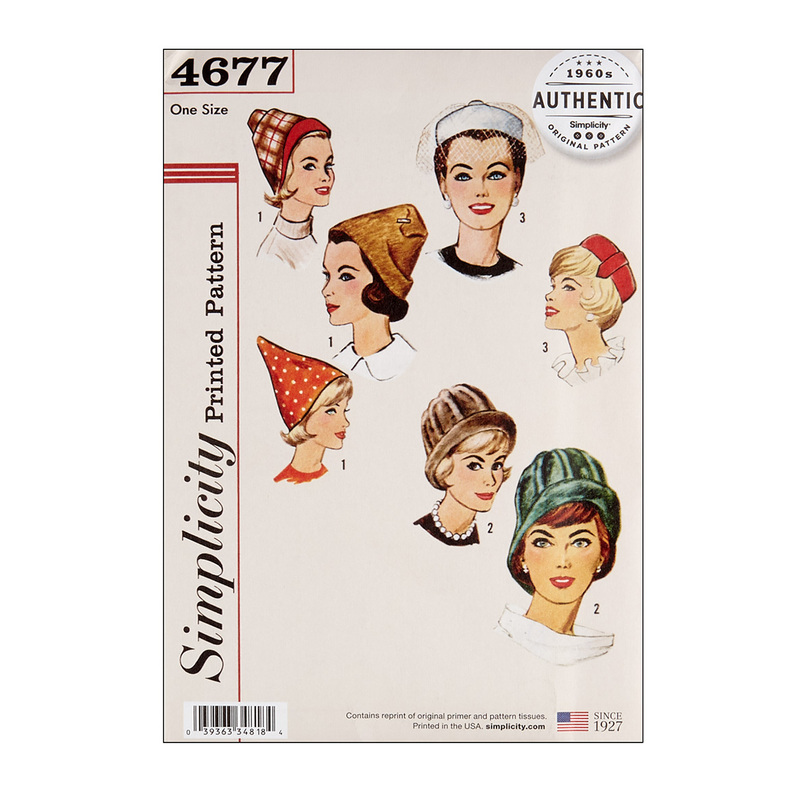 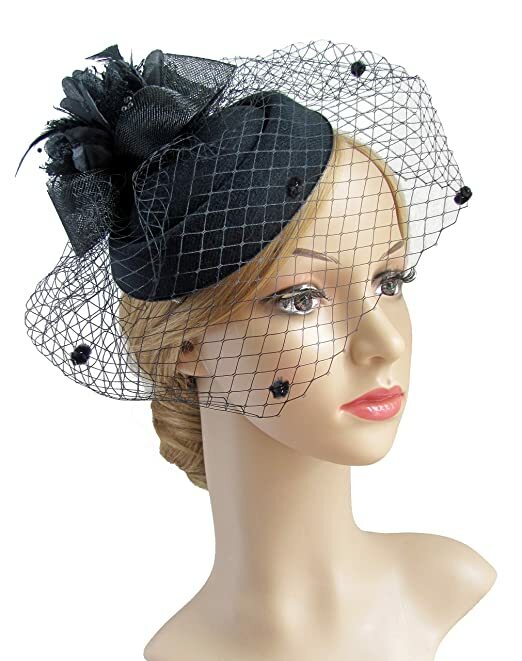 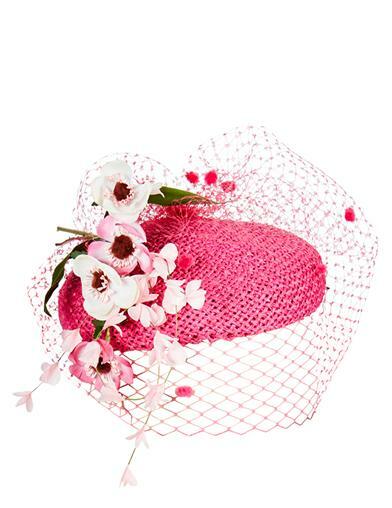 These small perch hats with net veils are back on trend today. 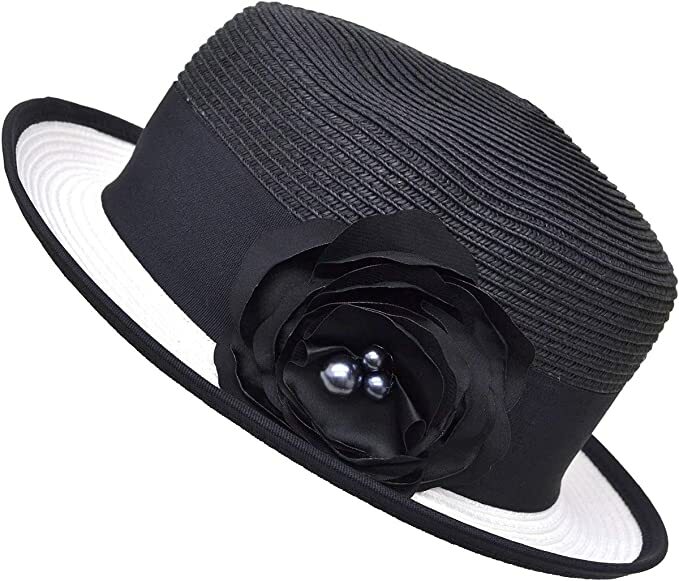 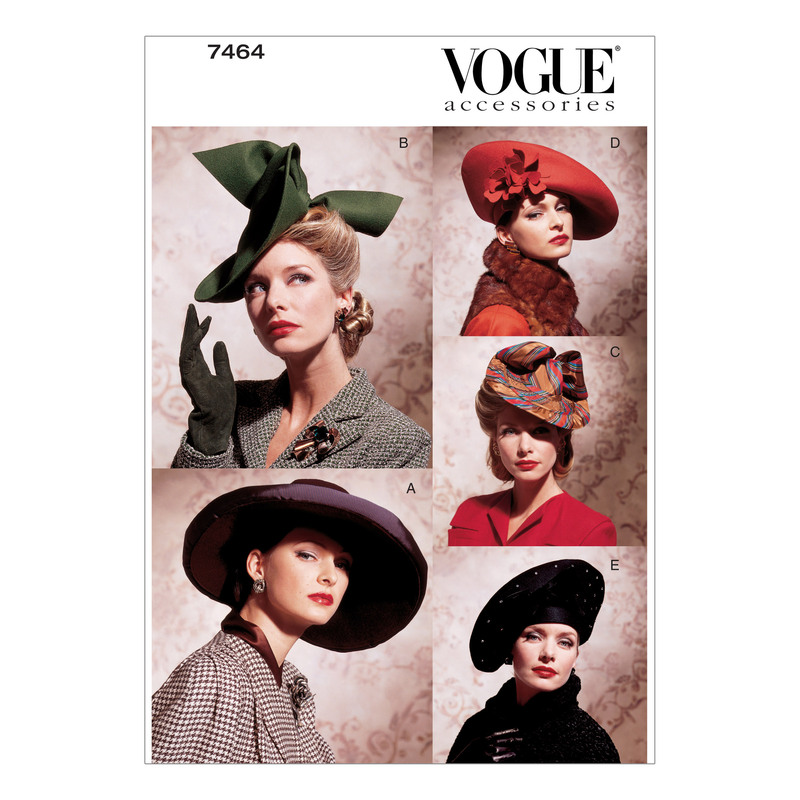 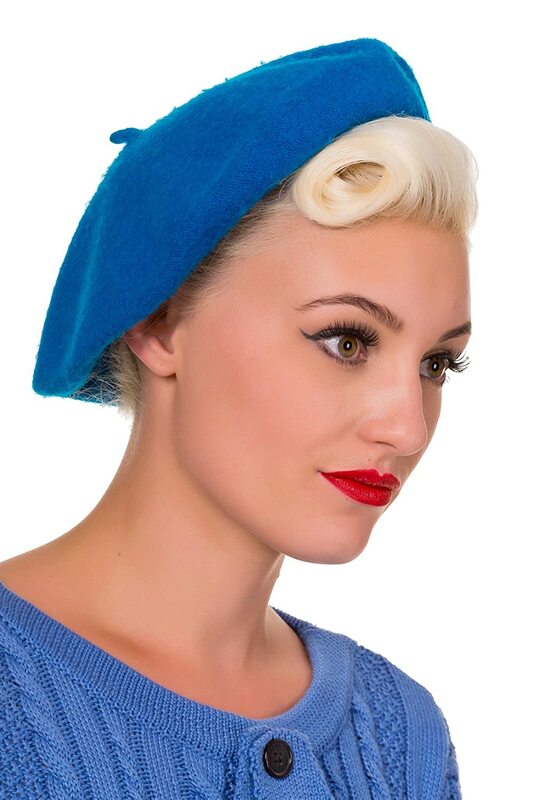 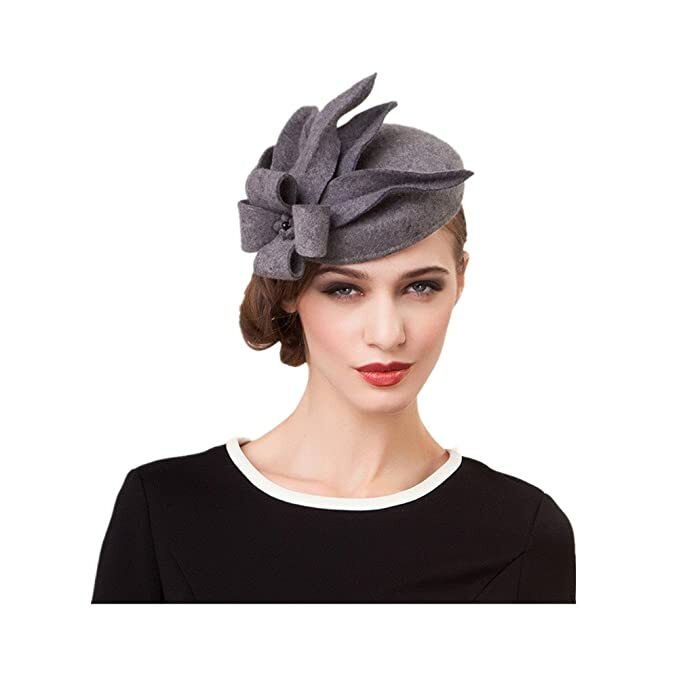 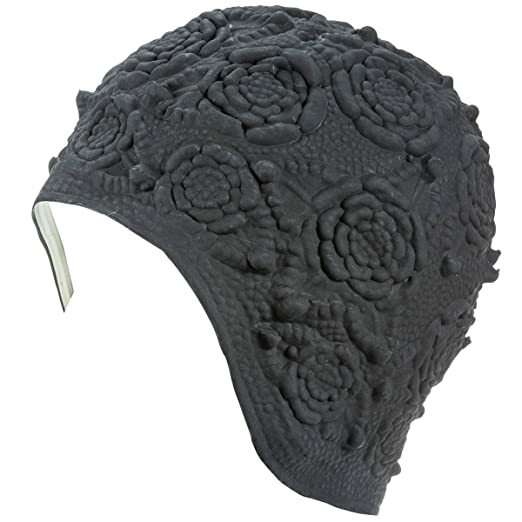 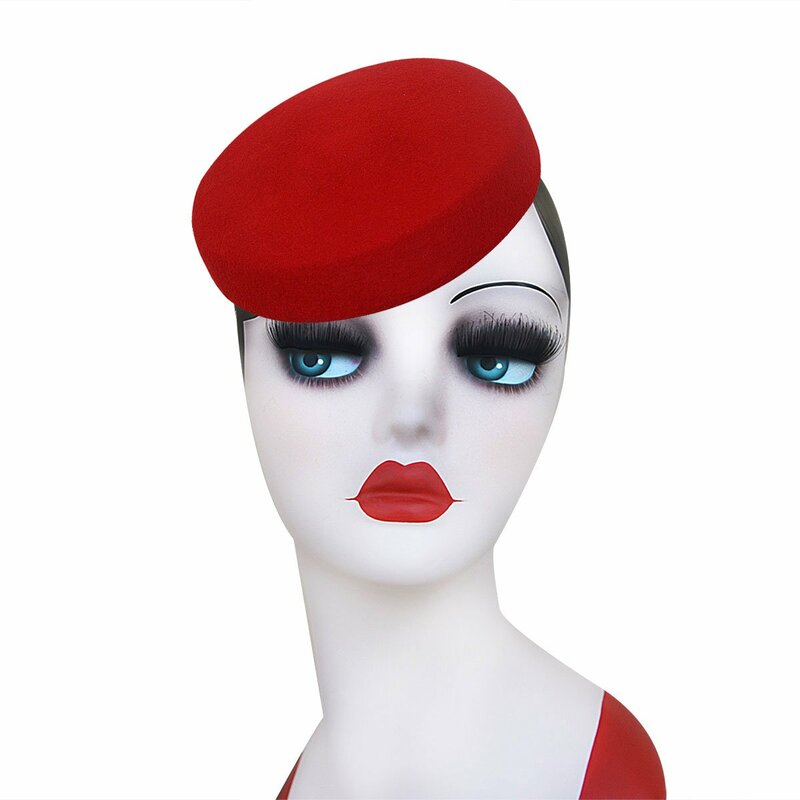 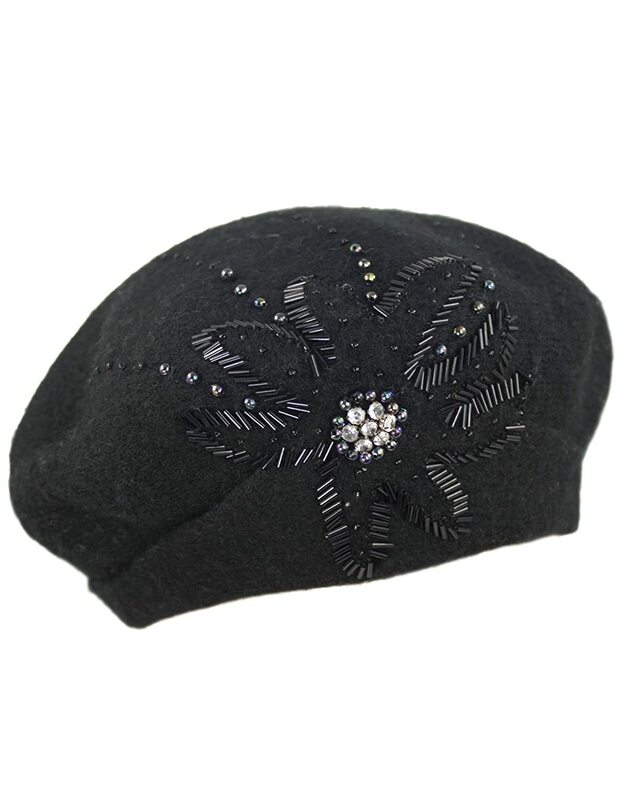 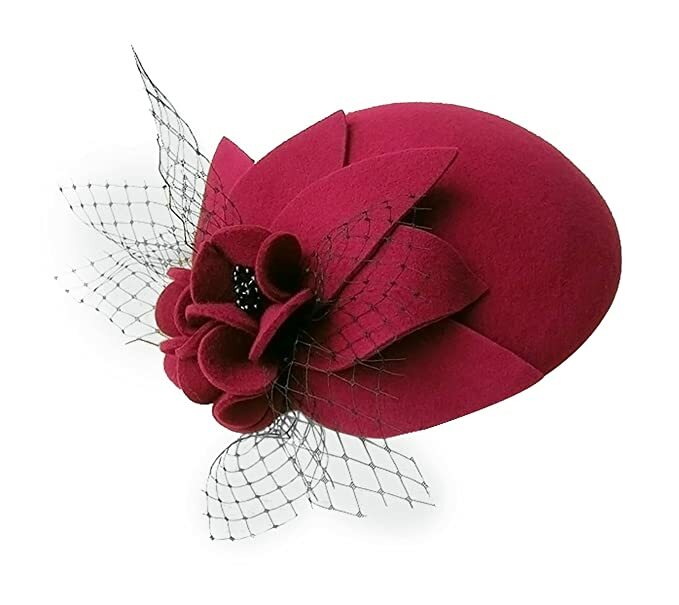 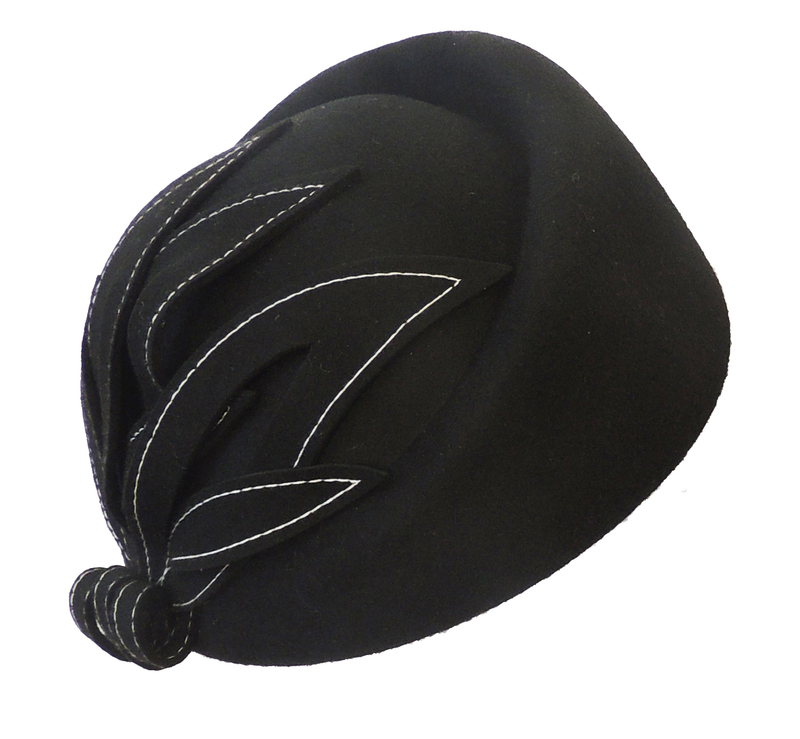 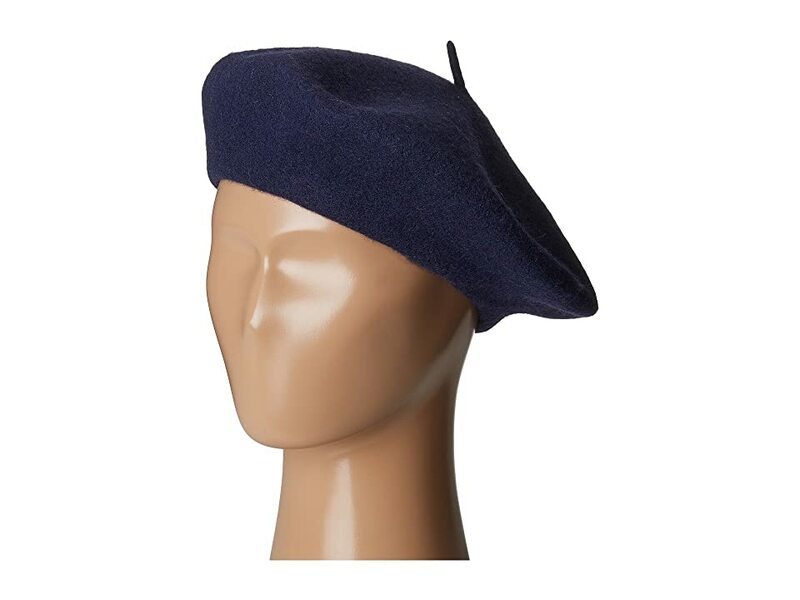 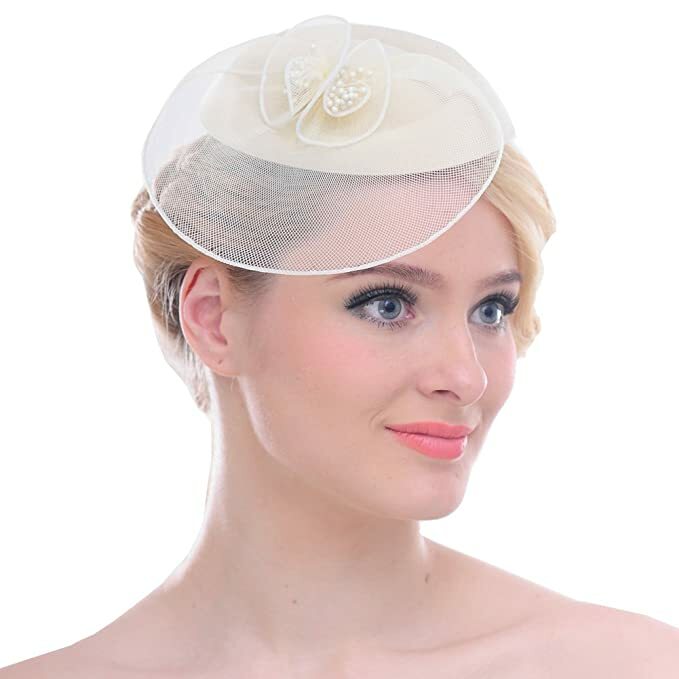 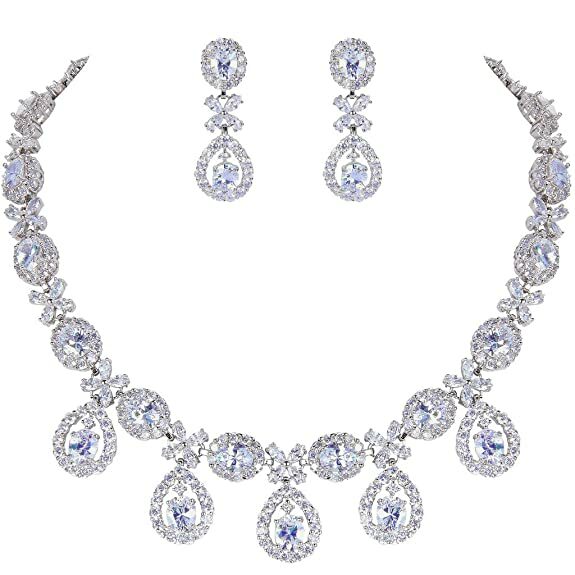 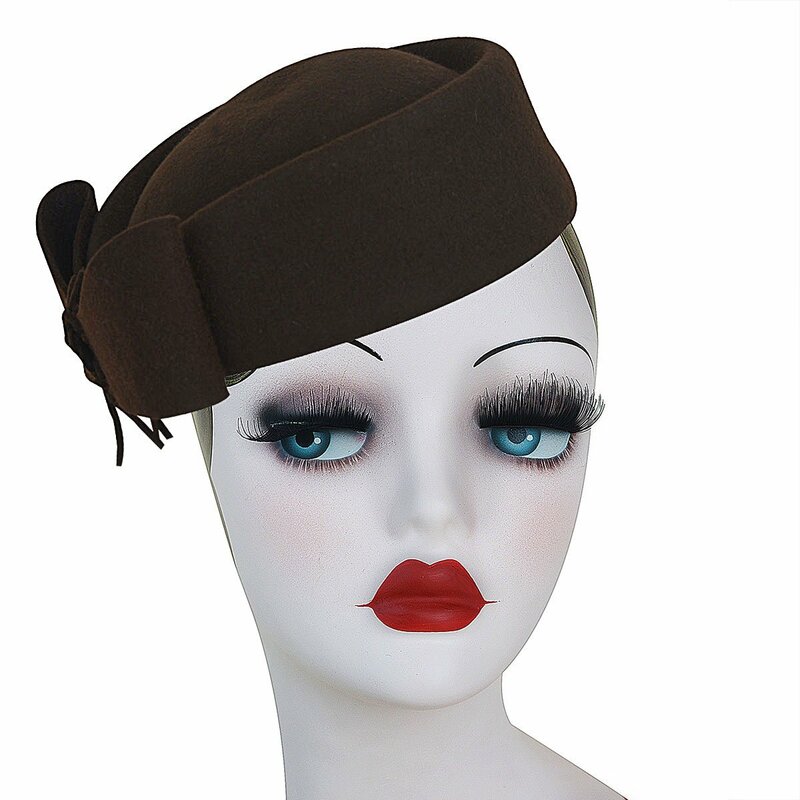 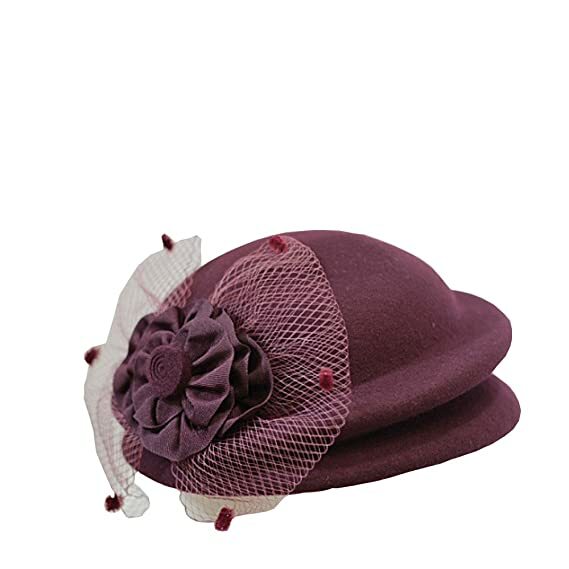 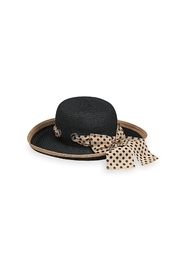 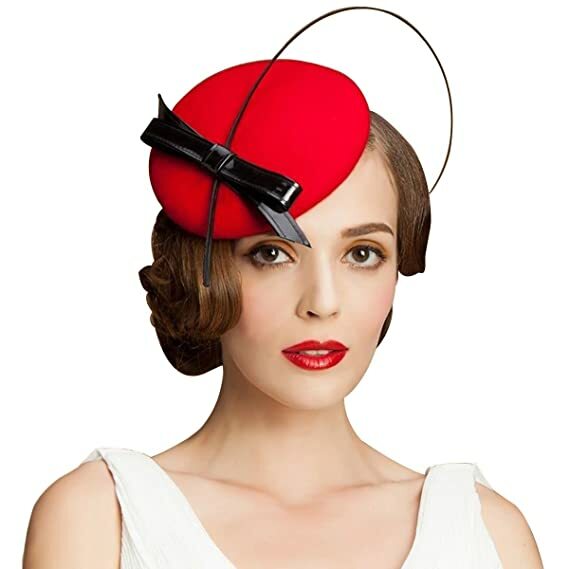 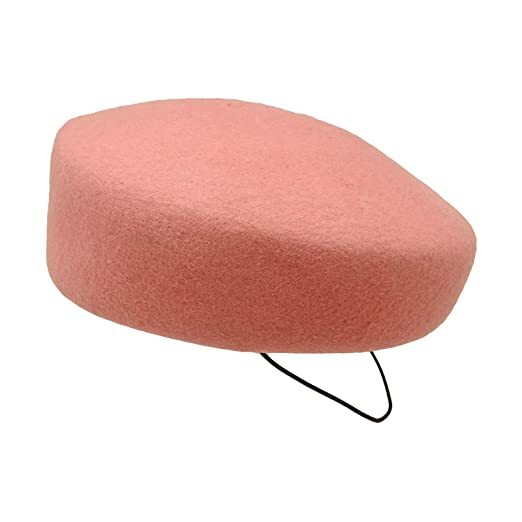 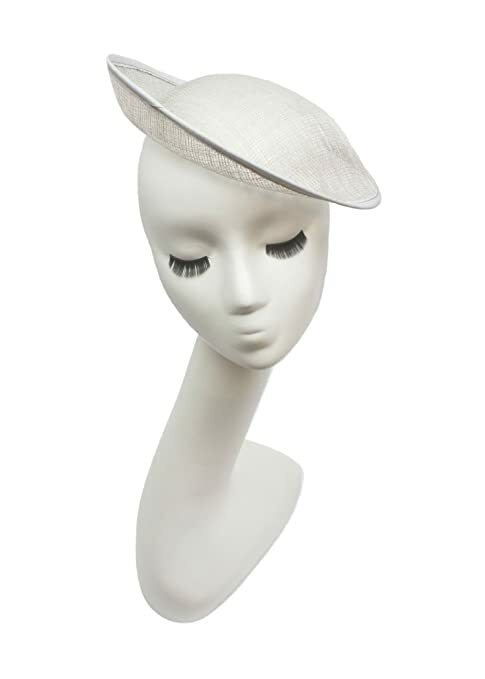 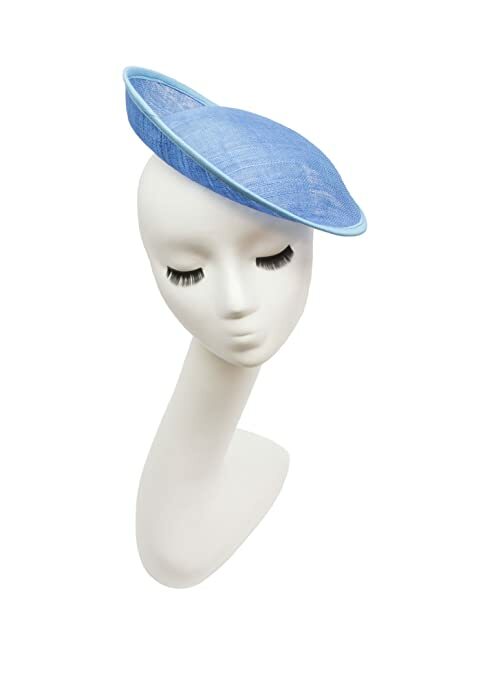 The 1950s pillbox hat is another vintage hat style that is an icon of the decade. 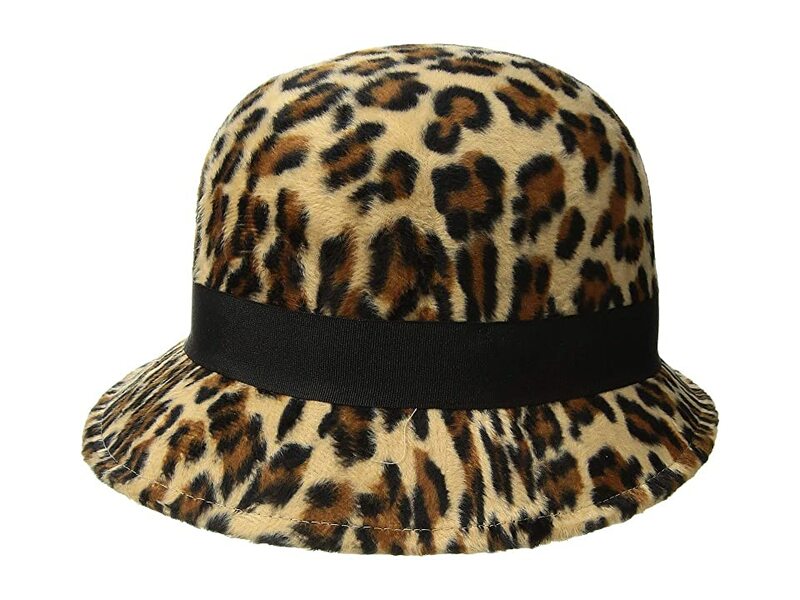 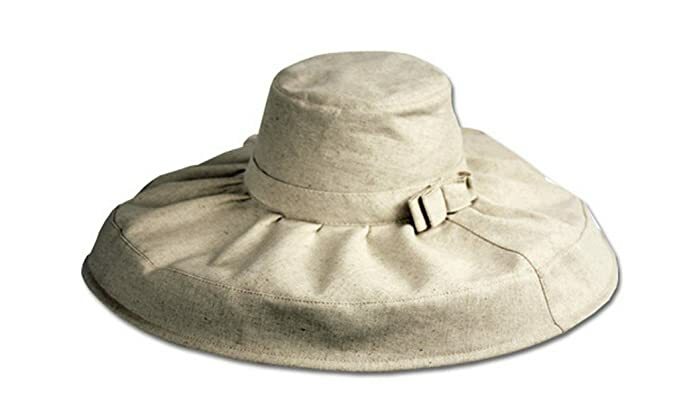 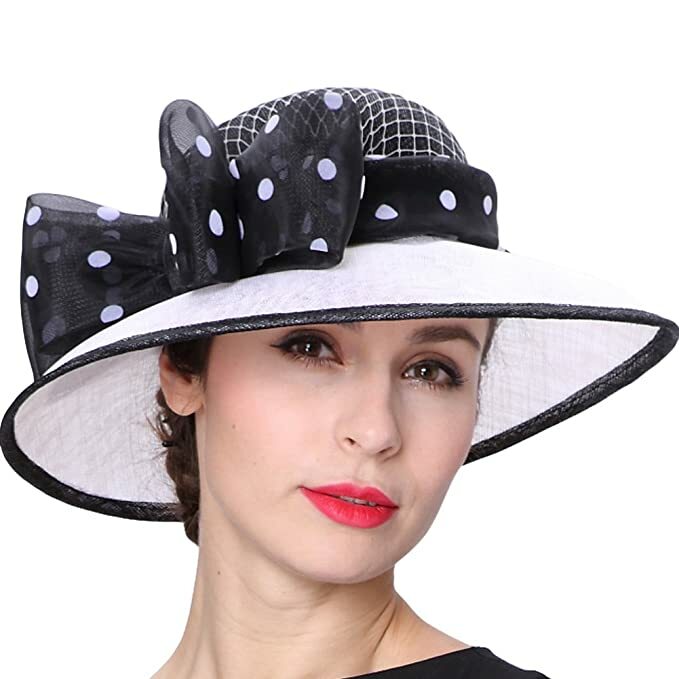 When summer rolls around there is an explosion of wide brim 1950s sun hats for sale and in winter fuzzy berets, stocking caps and fur-trimmed bucket hats kept women warm. 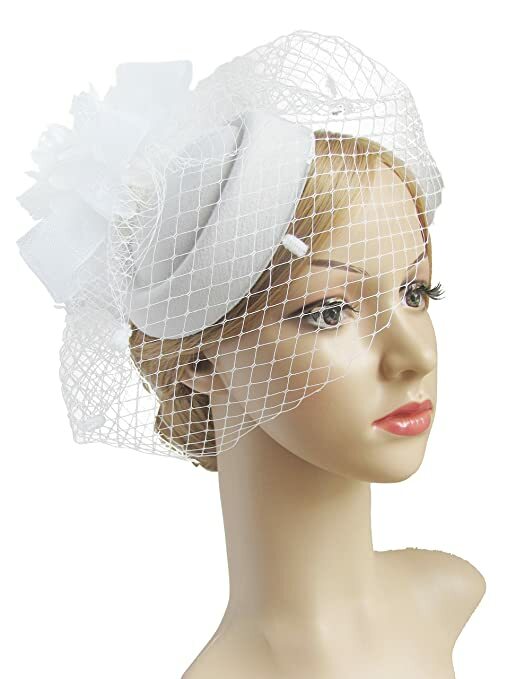 For fancy occasions and weddings, the almost non-hat veiled headband or small bow hat was popular. 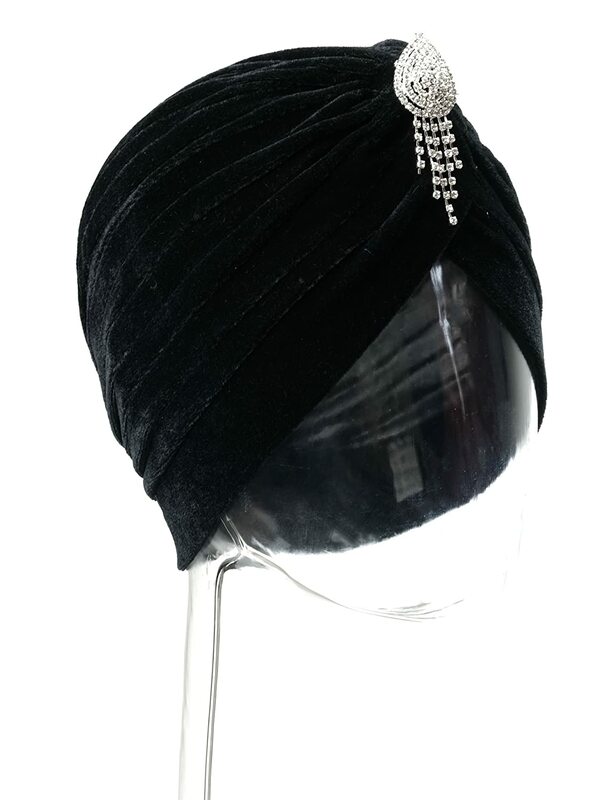 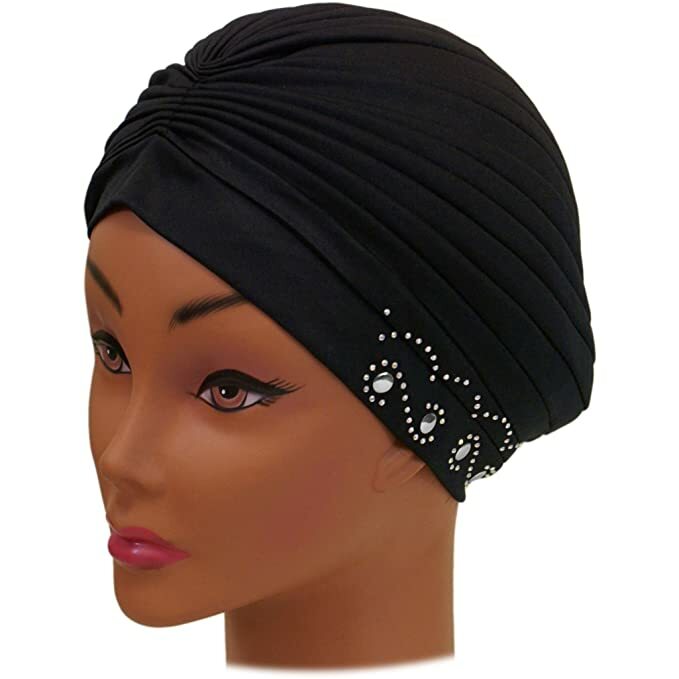 The velvet turban is another evening non-hat frequently worn by old Hollywood movie stars. 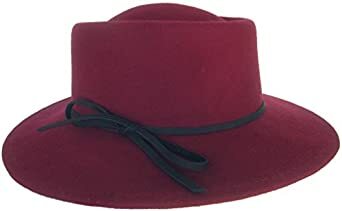 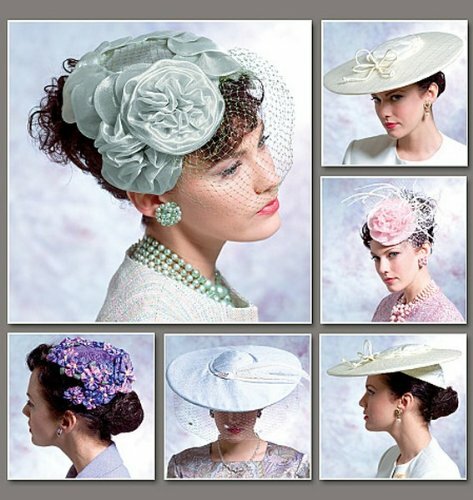 Learn more about 1950s hat history here. 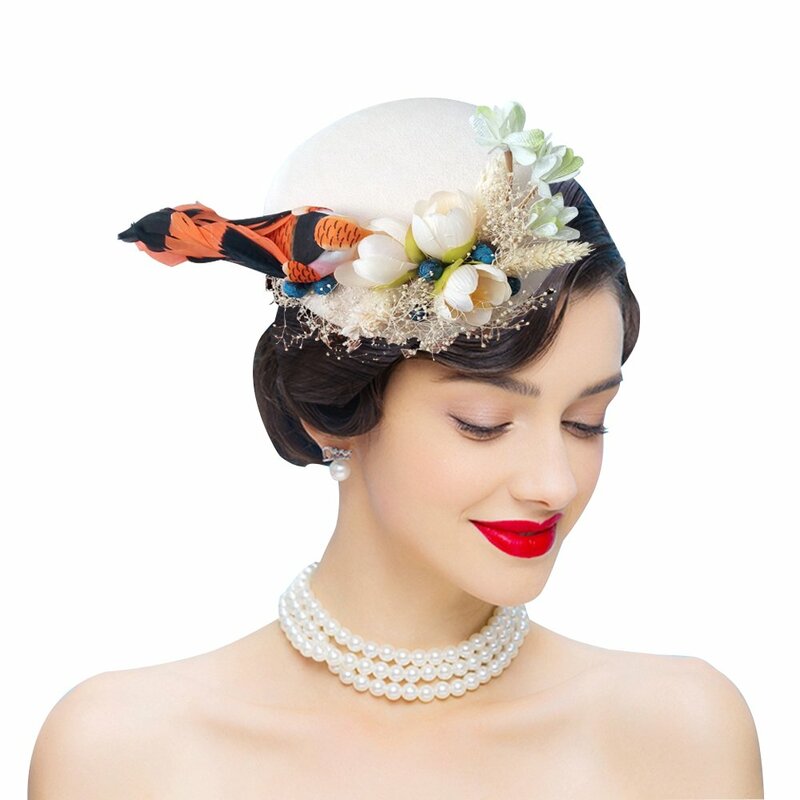 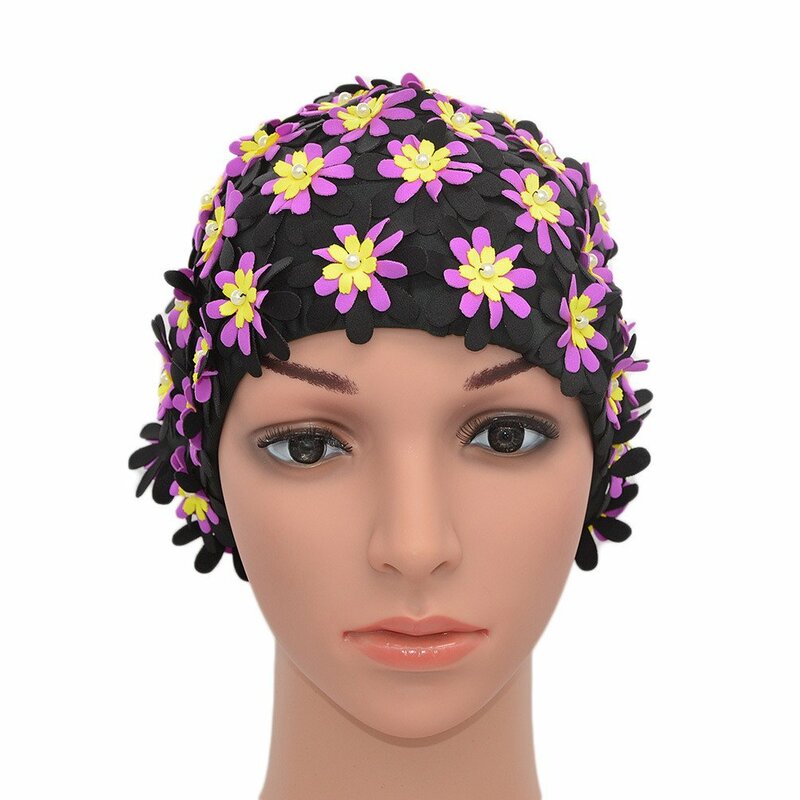 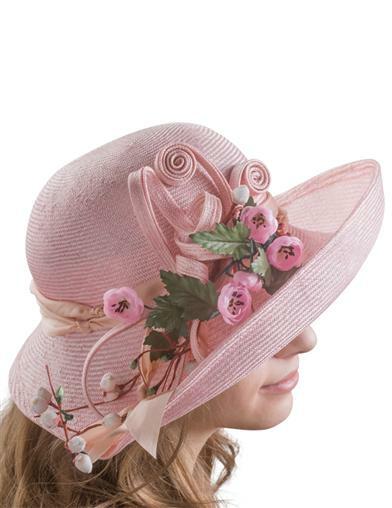 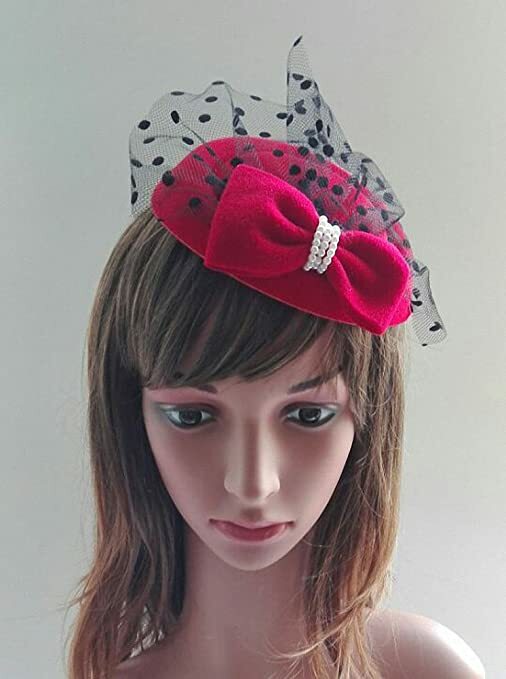 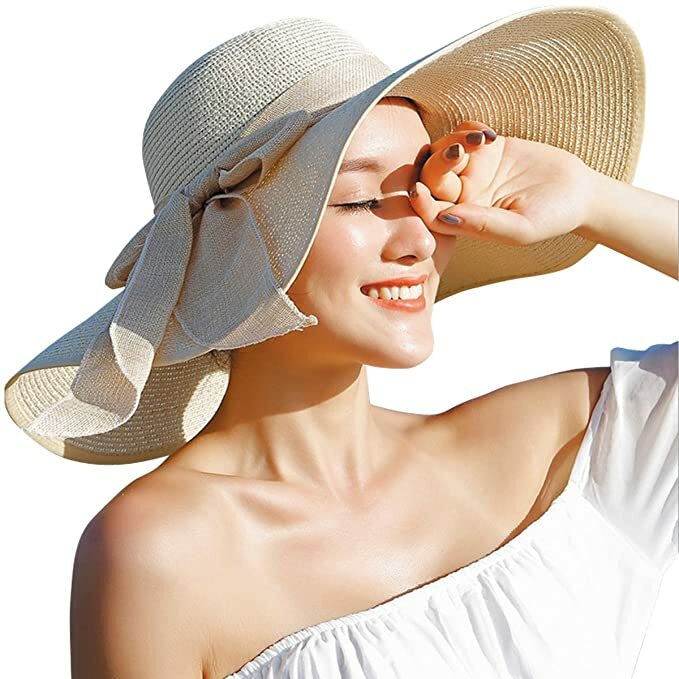 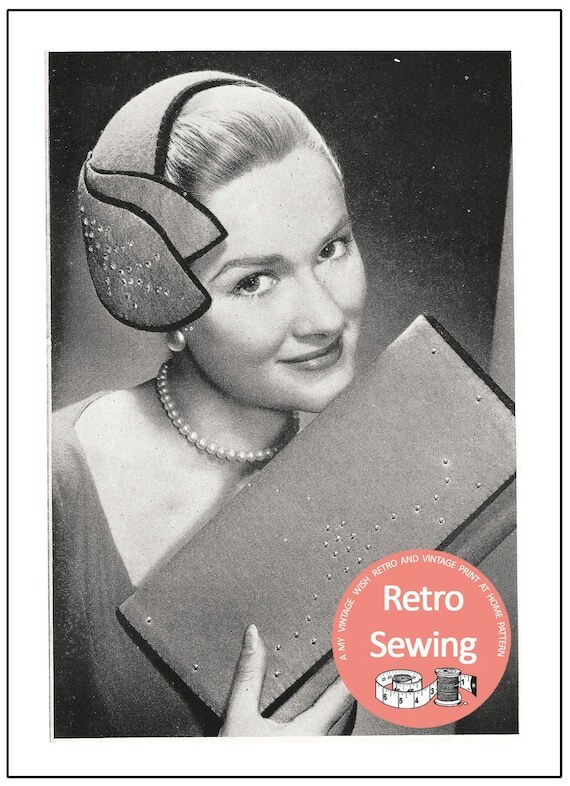 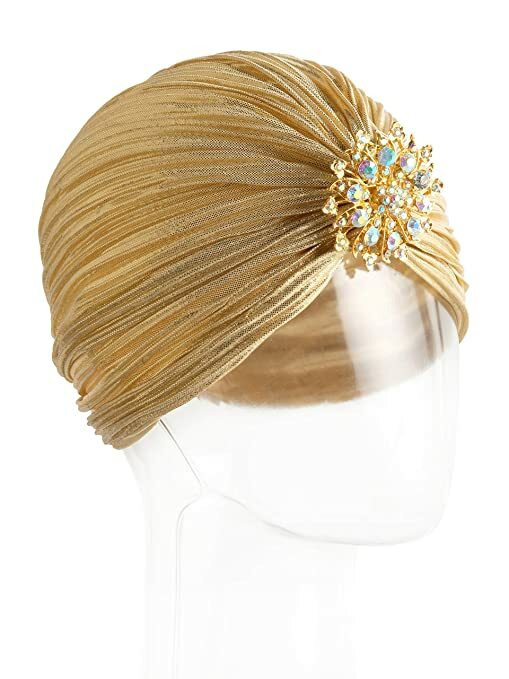 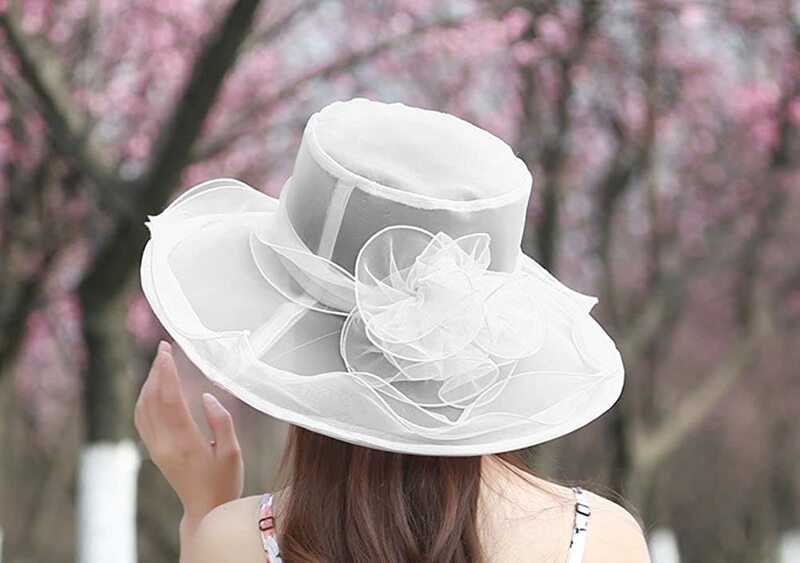 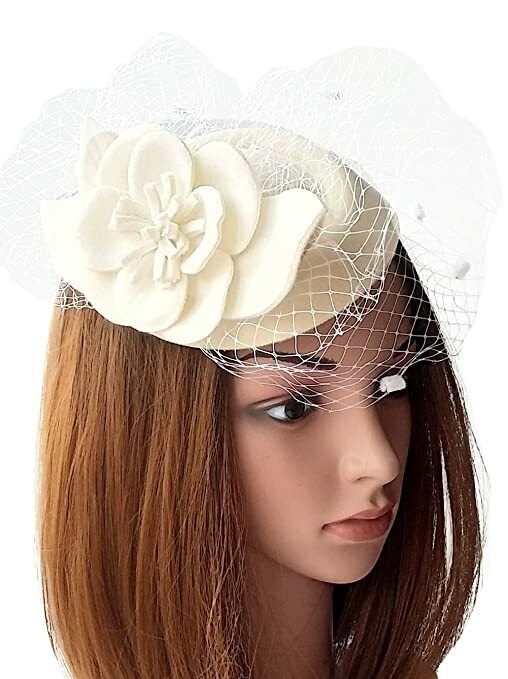 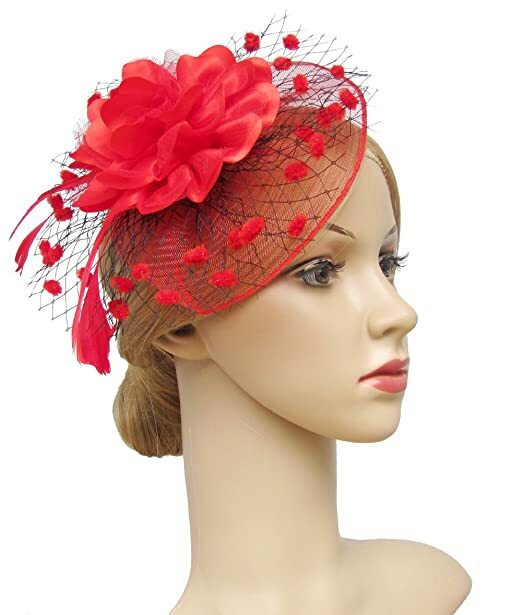 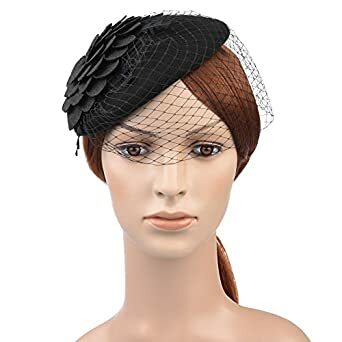 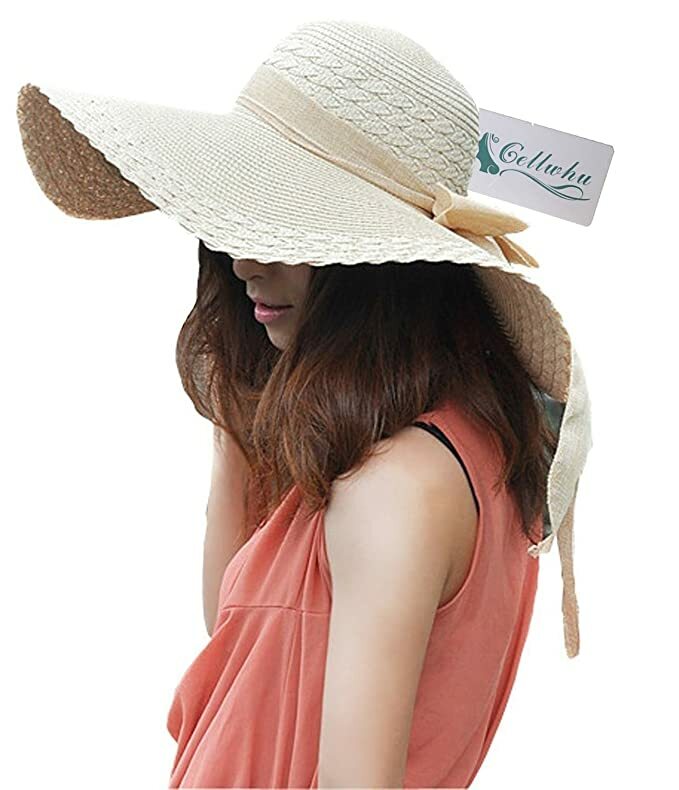 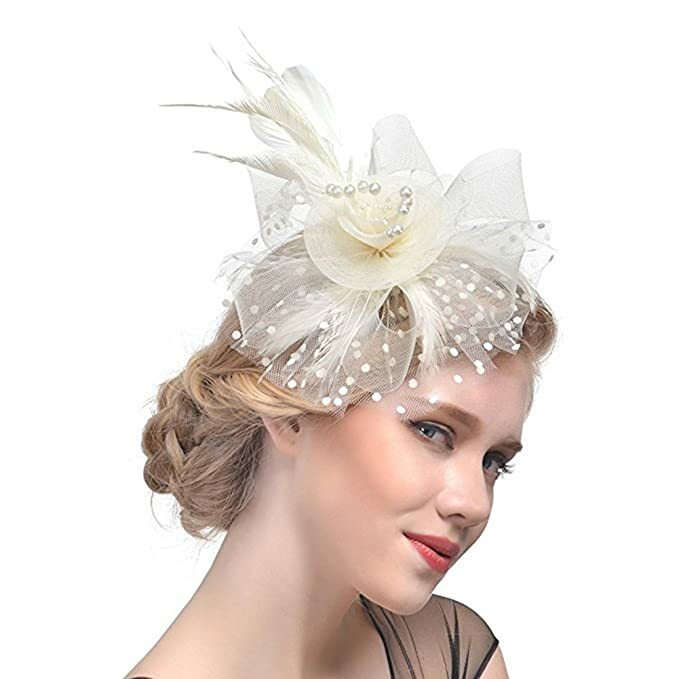 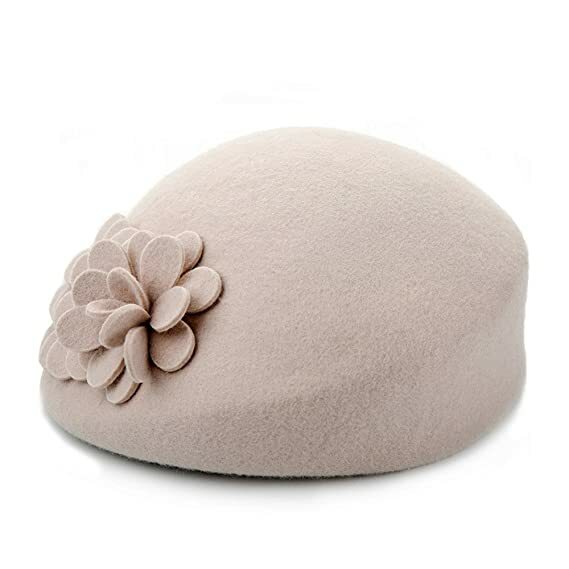 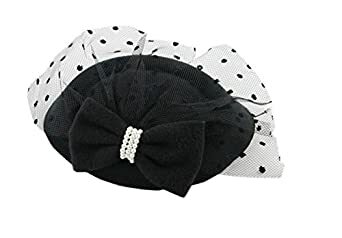 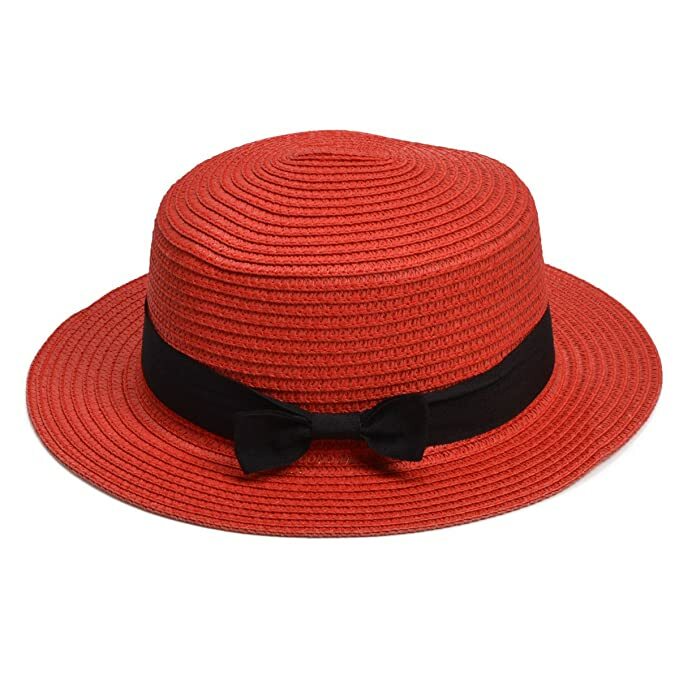 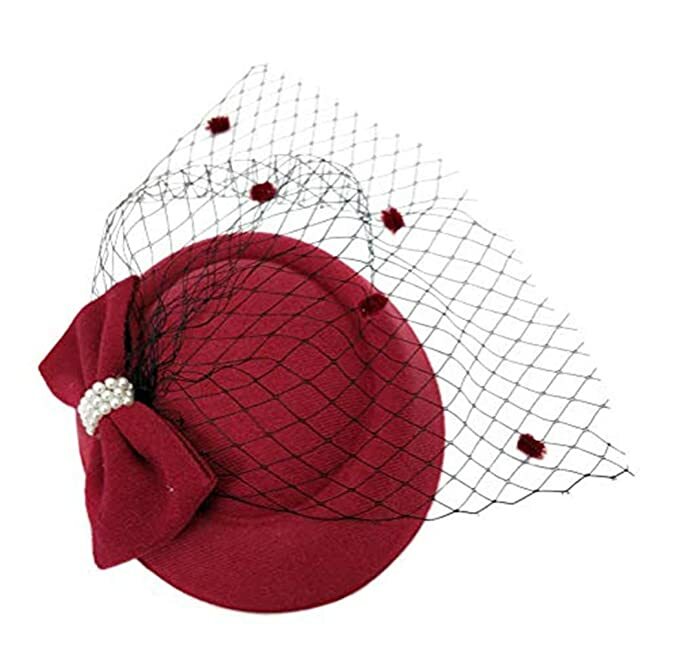 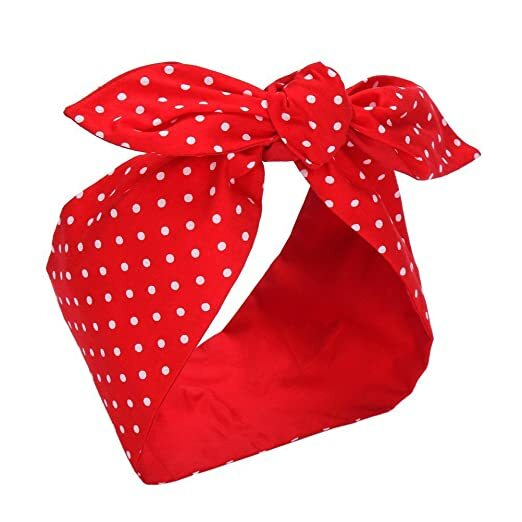 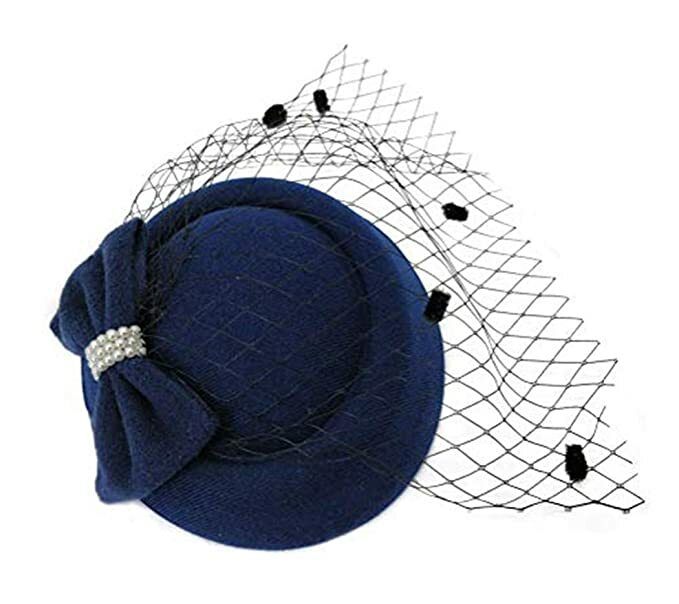 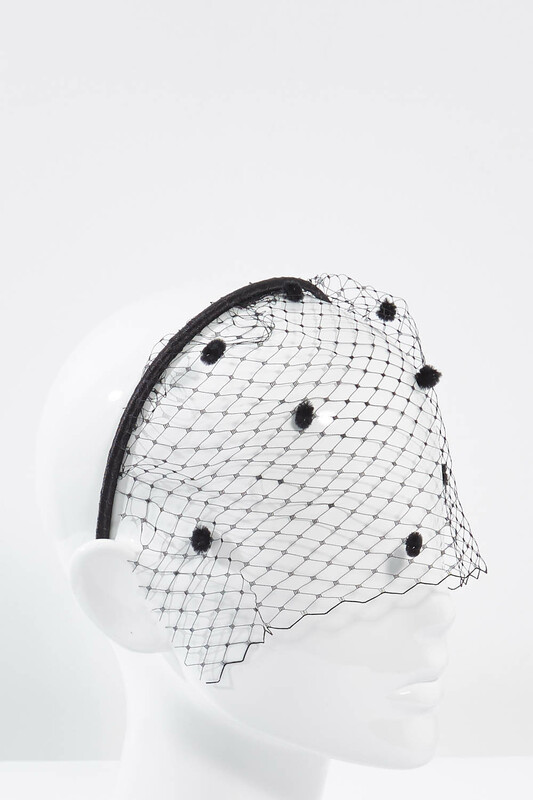 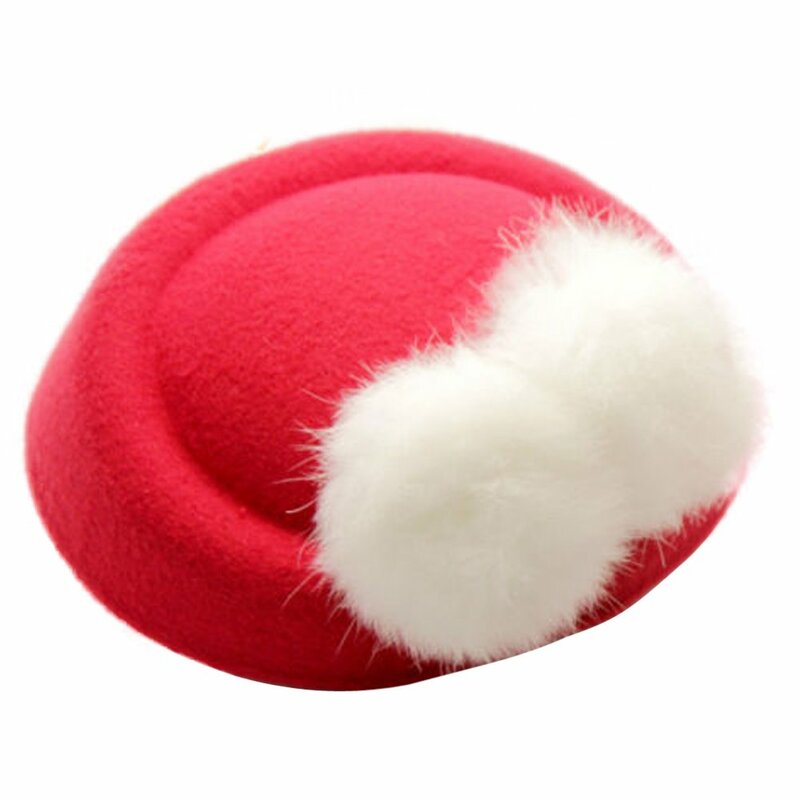 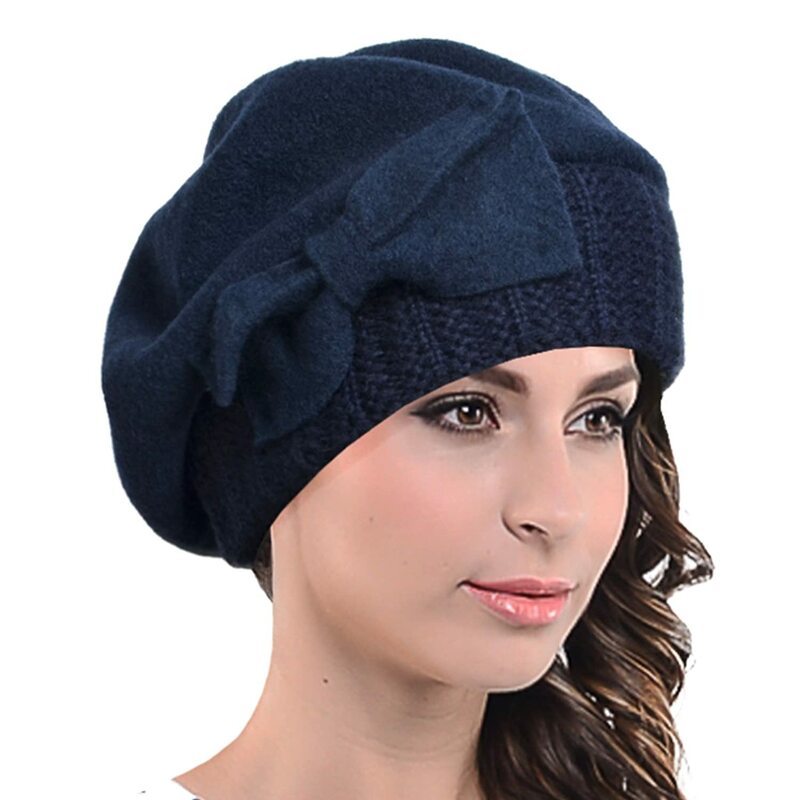 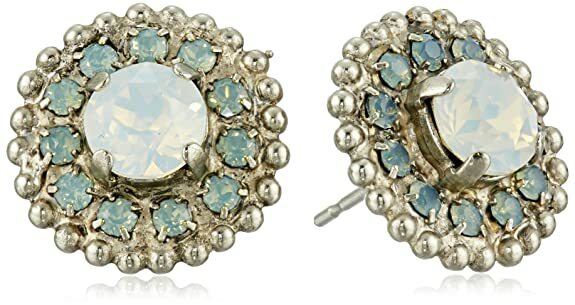 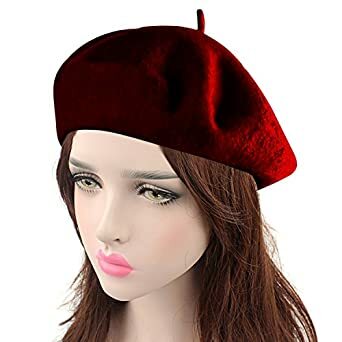 Look below for trendy old fashioned 1950s inspired hats available online or click here for headbands and hair accessories.